One of the most frustrating things that can happen after a conviction for a traffic violation is the suspension or revocation of driving privileges. Most of us use our vehicles daily to get to work, take the kids to school, grocery shop, and handle other essential matters. When the ability to drive is taken away, it can severely hamper many aspects of a person's life. When this happens, the first question on a person’s mind is usually, “So, when and how can I get my license back?” Unfortunately, there is not one clear and definitive answer, because every case is unique. When an individual loses the privilege to drive, he or she should be notified of what needs to be done to have driving privileges reinstated at a later date. Provide proof that court fines and costs have been paid. Attend a driver improvement clinic. Provide the DMV with requested motor vehicle insurance policy information. Pay a DMV reinstatement fee (which can range from $40 to $220). 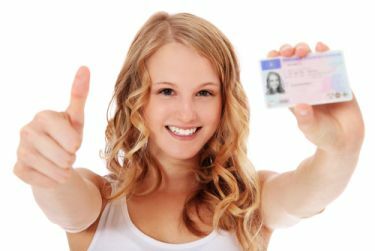 Provide the DMV with an SR22 or FR44 (Certification of Insurance) from an insurance company licensed to do business in Virginia. Other requirements, as dictated by the DMV. Provide proof of ID, residency or legal presence. Take knowledge or road skill tests. Provide a court order granting restricted driving privileges. Are you facing traffic charges in the Fairfax, Northern Virginia area? Are you concerned that your driving privileges may be suspended or revoked? Don't take chances - you have too much to lose. Contact Easley Law Firm for your FREE consultation at 888-386-3898. ?Can volunteering to participate in a driver safety course help my defense? If so, what can I expect? ?Can I be charged for manslaughter or fetal homicide if I cause a traffic accident that results in a miscarriage? ?Can I be held liable for a traffic accident if my child was the one who was driving?